Delhi – My places of interest! Below is the list of places in Delhi, some of which I have been to and some that I have been wanting to go in my next trip to Delhi. Let me know if you have other places in Delhi that are a must visit! I have always loved to see the historical sites and understand why that monument was built. Qutub Minar is one of the most beautiful structures that I have ever seen and it really showcases the brilliant craftsmanship of the artist. There are so many intricate carvings that you really have to spend some time to go through all of these. 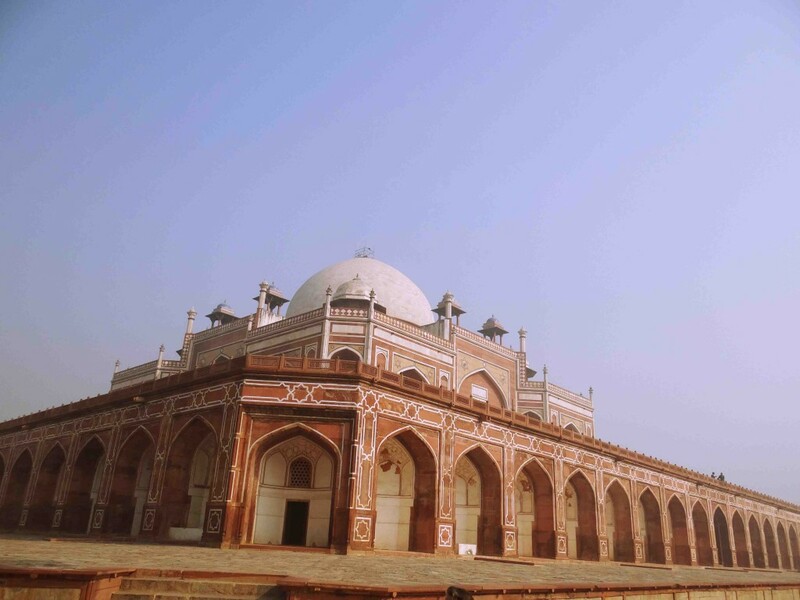 Built in the memory of Emperor Humayun, Humayun’s tomb is a must visit. The place is really well maintained. There is Shah Alam’s tomb in the same premises. The entire area is very vast and one will surely appreciate all the artistry work done here. In Delhi and not visiting India Gate and Rashtrapati Bhawan? That’s not possible!! I just love the entire area surrounding the India Gate. Try to make it in the evenings, it’s absolutely brilliant. In need for some quiet time, head to the Lotus temple. This is a place where Bahai teachings are taught. There is absolute peace inside although you find so many people. Built by Shah Jahan, this is one place that I have been wanting to visit. I have heard so much about how beautiful this place is. The next time I visit Delhi, I’m pretty sure to get here. Red Fort or Lal Qila must be visited to witness its sheer ornamentation. Built by Shah Jahan, this is where our Prime Minister hoists our flag on our Indian Independence Day. The light and sound show that takes place in the evening is very popular here. This is yet another place that I couldn’t visit while I was in Delhi but I would love to get here. This is a memorial of Mahatma Gandhi and many visit Raj Ghat to pay their respects. If you love craft shopping, then this is a must visit place. It also offers plenty of eating options too. Who doesn’t love Dilli ka khana? This is one of the oldest and the busiest shopping markets in Delhi. Though a little crowded, you can find some interesting silver jewelry, lights, books, sarees and lehengas, spices and electronics at very reasonable prices. Delhi is also a good option to make it as a pit-stop for your onward journey to any other place. There are many good accommodation options– from budget to luxury ones. I do like to indulge in places like Vivanta by Taj at times to pamper myself. I love the hospitality there and the indulgence. I have always found Delhi to be a very interesting place. It has so many places of interest and it just doesn’t have to be a restaurant to hang out with family and friends. Of late, I have seen that there are not many places where you can just go, sit and relax. Delhi differs here as I find there are umpteen places that give you a variety of choices. hello sir….i really like your work. the interface of your blog is really awesome. 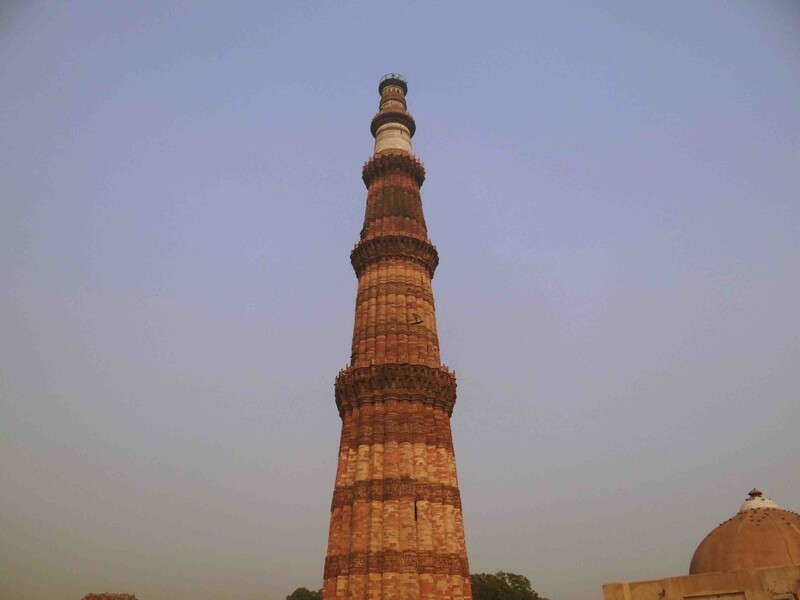 These are the best monuments in delhi and you shared good information about these monuments. Historical things are best to enjoy in india. Rajdhani is a beautiful place to visit but no these days because of so much pollution. By the way thanks for sharing such a beautiful post. i really love every place of delhi infact i’m a residence in delhi but i really love alot every place every castle thanks for sharing a lot i really like your all pictures n article thanks alot again for sharing…………! Delhi’s history and the historical monuments are beautifully described in the article. Thanks for sharing such an informative piece of information about the nation’s capital Delhi. I visited all the historical monuments listed in the article in Delhi during my trip after reading the article. Delhi is truly a perfect place for heritage lovers. Being a Delhite, even I was not aware of few more places. I visited few of them and share my experience on my blog Ghoomakad.in. Keep exploring and more power to you! Thanks for sharing this information. Gives me a list of place to visit during my tour of Delhi.